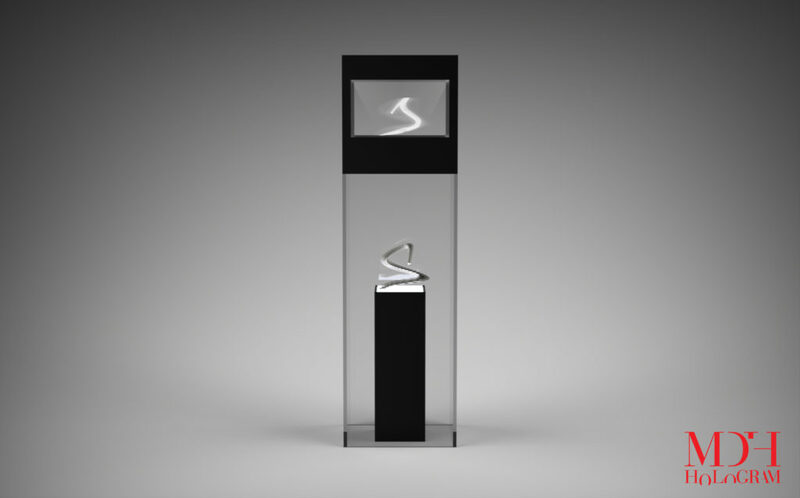 MiniMagic is a smaller, more cost effective evolution of our holographic display technology. The unit is designed for those wanting to make a lasting impact. Using similar techniques to Icemagic, MiniMagic produces a bright image with an integrated audiovisual media server creating the same 3D effect in a more compact scale. If you need something more personal and intimate, MiniMagic is the 3D display platform for you. Ideal for retail, point of sale, trade show exhibitions, business or educational events, and locations where space is limited with higher ambient lighting. Engaging, exciting and guaranteed to catch attention, MiniMagic amazes and engages those passing by. MiniMagic is a freestanding 3m-high pod, running on standard power supplies. Designed for areas of high ambient light, its design can be personalised to fit your branding. MiniMagic measures approx. 3m in width 3m in height and 2.5m in depth. The viewable area is 2.4m wide by 1.4m in height. Also available is MiniMagic Lite – a compact and portable version of the MiniMagic system that comes in a flight case. The Lite version can be built to any custom size, is easy to setup, pack up and to transport. is a smaller, more cost effective evolution of our holographic display technology. The unit is designed for those wanting to make a lasting impact.